Ithala Game Reserve rolls across the Ngotshe Mountains in KwaZulu-Natal. 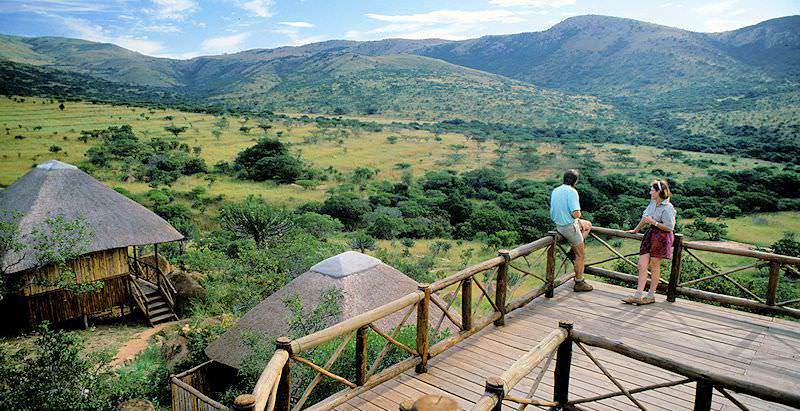 The magnificent Ithala Game Reserve is a place that wildlife lovers adore. It includes the peaks of the Ngotshe Mountains as well as the valleys of the Phongolo River, with is a height difference of about 1000 meters between them. It is found 30km east of Vryheid and close to the town of Louwsburg in the Midlands of KwaZulu-Natal. This prime game viewing destination was established in 1973. It is about 30 000 ha in extent and is situated in a rugged, mountainous area with jagged dolerite cliffs. Its name was derived from the Zulu word 'ithala', which means 'the shelf'. The Ithala Game Reserve is home to KwaZulu-Natal's only herds of tsessebe. Large concentrations of a variety of animals, which include the white and black rhino, can be found in the park. Fish eagles, Wahlberg's eagles, martial eagles, black eagles, southern banded snake eagles and black-breasted snake eagles are amongst the birds of prey that can be found in Ithala Game Reserve. The threatened bald ibis is now also breeding in Ithala. Imagine being hugged by a mountain. That is how it feels when you visit Ithala. Your thoughts get lost amongst the cracks and crevices of the cliffs, and they are quietened by the rivers that jump off the mountainsides and run through the valleys. On top of that, it is also home to a remarkable amount of game and bird species. A drive through Ithala takes you past various natural and man-made geologically significant sites, like Iron Mountain, termite mounds, dongas, quartzite, hunting pits and towering cliffs. Additionally, the park boasts some of the oldest rock formations in the world. Each is beautiful in its own way and it is a pleasure to view as well as to become acquainted with how they were formed or made. Ithala is one of the few places where one can perceive and appreciate the vast differences of the various landscapes the country and continent have to offer. When you are standing high on top of the mountains and look to the east, you'll observe a wondrous sub-tropical Eden, and when you turn to the west, you can see the semi-desert of the Great Karoo stretching toward the horizon. 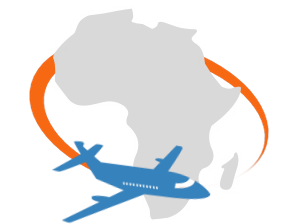 Your safari to Ithala will start at OR Tambo International in Johannesburg, where you will be assisted by an African Sky representative to either transfer to your next domestic flight or to start your South African journey. A short flight from either Johannesburg, Cape Town, or smaller cities like George, can take you directly to Durban’s King Shaka International Airport. Ithala is located in the rugged Ngotshe Mountains approximately 400km of Durban. The reserve is rarely a singular destination, and is usually combined with other locations in the Zululand district or the Kruger National Park. 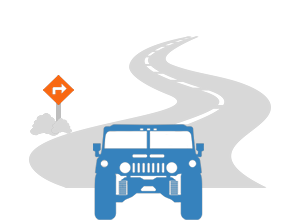 Your personal guide will transport you in a private, air-conditioned vehicle from previous destinations on your trip, or the airport, depending on your particular itinerary. Much like the Hluhluwe-iMfolozi Park, Ithala can be visited throughout the year. The dry winter months from May to September are the best for wildlife viewing, as the vegetation thins and grasslands are shorter than during the rainy summer. The temperatures during the day are also rather comfortable, although it can get cool at night. During the summer season, rain and thunderstorms are customary in the area and it can be very humid and hot. The rainy season, however, brings with it newborn animals and an array of birds that visit for their annual migration from the northern hemisphere. The landscape is also transformed into a lush green tapestry and the wildflowers are in bloom. Even though Ithala Game Reserve was only established in 1973, the anthropogenic history of the area dates back thousands of years. The first inhabitants that we know of were the Bushmen. The stone tools that they used are still scattered across the park and rock paintings can be seen in the eastern part of the reserve. They might have been here as many as 20 000 years ago. More recent occupants were the Iron Age black tribes that had the ability to work iron. The banded iron formations in the area provide the perfect iron ore. It had to be crushed and melted at high temperatures in clay furnaces. Iron tools to work soil for planting and iron weapons, mostly spear tips, were manufactured here. In the year 1884, the Zulu King Dinizulu gave more than 1.1 million hectares of land to 800 Boers, because 115 volunteers had helped the Zulu fight. These white settlers had a dramatic impact on the land, firstly by hunting the wild game and the Rinderpest epidemic of 1896 that they caused. After discovering gold in the early 20th century, two mines were opened. Wonder mine produced 147kg of gold from 1910 to 1933, and Vergelegen Mine (renamed Eureka Mine) produced 129kg of gold by 1915. The previously mentioned mine was reopened as Ngotshe Mine in 1943 with little success. The Ngotshe Mine only produced 8,3kg of gold by 1967. Ithala Game Reserve hosts four of the Big Five animals, not having any lions. And sightings of the Big Five are quite rare. There is a relatively good chance of spotting white rhino and occasionally elephants and buffalo. With some luck, one might even come across a black rhino, but sightings of leopard are extremely rare. Cheetahs do occur, but are not seen frequently. Ithala also contains the very rare brown hyena. The very elegant serval can be found hunting rodents in the early morning and late afternoon. Ithala is also home to the fastest running antelope, the tsessebe, and the petite oribi that is often spotted in pairs. Other grazers one might come across are impala, red hartebeest, blue wildebeest, reedbuck zebra and eland. Browsers include duiker, bushbuck, nyala, kudu and giraffe. Most of these species give birth in late spring or early summer, thus providing better chances of predators hunting. An abundance of birds may be observed; more than 300 species have been documented here. Common birds found in the park will be species like ostrich, Shelly's francolin, purple-crested Loerie and the red-billed oxpecker. The red-billed oxpecker went locally extinct when war was waged on the tsetse fly and malaria mosquito, and therefore the red-billed oxpecker was reintroduced. In 1994, 175 red-billed oxpeckers were released, and now the reserve contains a healthy population again. The reserve also contains southern bald ibis, Cape vulture, and Verreaux's eagle. Ithala is a reserve that can best be described as diverse, from the various landscapes, the tree species and vegetation groups, to the multiple rivers and streams that run through the area. There is something spectacular around every corner. The area is characterized by riverine valleys and forests that spill over into dense thickets and grasslands, and consists of no less than 13 different vegetation clusters. An impressive 320 tree species have been documented in the area, which is the most of any reserve in the KwaZulu-Natal region. The area also boasts a diverse geological range, including the gorges carved by the Phongolo River in the north and the Ngotshe Mountains in the south. The name of the park is a Zulu phrase which means ‘high place’, and one of the main attractions of the area are the many cascading waterfalls, pools and gorges that have been created by the rivers that flow through the mountain ranges and valleys. The granite outcrops and widespread cliffs are accentuated by the thornveld, woodlands, floodplains and grasslands that can be seen in the Ngubhu basin below. The rugged terrain rises to 1400m above sea level and encompasses rock formations that are millions of years old. It is from this geological formation that the stark difference of the South African landscape is noticeable. Ithala is the perfect reserve for a tranquil breakaway. Nestled between the Ngotshe Mountains, one cannot help but imagine that this is what it feels like to be an eagle. You can enjoy the scenery for miles around from the comfort of your lodge, or one of the many picnic spots created specifically for this purpose. Game drives led by experienced game rangers are an excellent way of getting to know the various wildlife that call the area home, and the availability of self-guided and guided walks ensures that guests can truly immerse themselves in the finer details of the habitat. Night drives are also available and are a great way to view predators that hunt when the sun sets. Grabbing a bite to eat at the deck overlooking the Ntshondwe waterhole or barbecuing at one of the picnic spots is a great way to make an experience out of any meal. Visitors can also enjoy a relaxing swim at some of the lodges within the park, but must remember that swimming in the river is not allowed due to the presence of crocodiles. For the more active adventurer, trekking through the lush forests in search of waterfalls will ensure that you keep your blood flowing, and the reward at the end of the journey is absolutely worth it. Guests can also view various cultural sites such as the smelting locations that were historically used to provide iron ore in the area. Visitors to Ithala Game Reserve will savor its verdant greenery, sweeping views and unique cultural flavors. The experiences on offer are distinct to this lesser-frequented reserve in KwaZulu-Natal, and will undoubtedly augment your South African safari. From the heights of the Ngotshe Mountains, the land falls stunningly and steeply into the Ngubu Basin, where the river runs languidly into the undulating plains. Ithala is so picturesque, you'll feel like pinching yourself just to make sure it’s real. At Ithala, you'll feel transported into another century and into a different culture. There are signs of the old Zulu Kingdom everywhere, and if you dare you can ask the locals about the legend of the huge snake that is presumed to live at the now empty mines and diggings (no wonder they’re abandoned). Thousands of trees, voluminous bushes, grasslands, wildflowers and ferns coupled with the presence of big game such as the black and white rhinoceros, the African leopard, African elephants, buffalo and many more make for a unique safari. Which four of the Big Five does Ithala have? Ithala has rhinoceros (both black and white), leopard, elephant and buffalo. How high is the highest escarpment? The Ngotshe Mountain escarpment is approximately 1 450 m above sea level. Can I swim in the rivers? No - due to the presence of crocodiles and other wild animals it is not safe. Swimming pools are available, however. Internet access is available at some of the camps. Ithala caters for people with disabilities at Ntshondwe Camp. Is there a shop in the reserve? Yes, curios and basic necessities are sold at the Ntshondwe Camp shop. Regrettably, children under the age of 13 are not permitted. Travel to South Africa with African Sky for a truly diverse African vacation. Botswana is one of the top safari destinations on the African continent. Namibia offers unforgettable desert-oriented safari activities. Zambia's top safari destinations include Kafue, South Luangwa and Lower Zambezi. Travel to Zimbabwe for an enrapturing view of the Victoria Falls. Mozambique is a tropical paradise of myriad islands and pristine coral reefs. The Kruger National Park is a bucket list safari destination, boasting an extraordinary diversity of wildlife and eco-systems. The Sabi Sand Private Game Reserve is a 65 000-hectare wilderness that shares an unfenced border with the Kruger Park. Cape Town is known as South Africa's 'Mother City', a captivating tour destination that offers ample opportunity for adventure. The Garden Route is a verdant corridor that stretches from Mossel Bay in the Western Cape to Storms River in the Eastern Cape.